A few directors headed to the Montreal Children’s Hospital today to visit the Concussion Clinic that is funded by Andy Collins for Kids! The primary goals of the MCH’s trauma program are to provide world class care to trauma patients thanks to a dedicated multi-disciplinary team AND to prevent trauma and injury among children and adolescents through community outreach, education, and lobbying. If you would like to learn more about this project, click here. 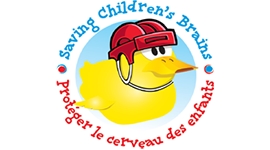 Andy Collins for Kids is a Not-for-Profit Organization located in Montreal, Quebec, Canada. Sign up now to make sure you get notified when the next Funday is and how you can register to be part of such a wonderful event!